Looking for a new way to unlock your iPhone, iPod Touch or iPad running iOS 7? With the Appellancy Cydia tweak, you can use facial recognition to unlock your iOS device. This is currently the best facial recognition unlock tweak available on iOS 7 and it works great. Facial recognition isn’t the safest and can be fooled with a photograph of you. However, Appellancy is different and it is said to be very secure as it takes several photos of you and improves itself. When you first start the tweak, it’ll ask you to take a minimum of 5 photos of yourself. It’s fairly simple in its workings and kicks into action as soon as you wake your iOS device. It’s pretty fast too, if it recognizes your face and can also skip passcode locks. The tweak consists of several settings that can be adjusted by launching the icon on the homescreen. You can also add photos to a Deny entry list to stop others from getting through your lockscreen. A GuestMode option lets rejected users to use the iOS device with some access. Several users are still reporting that the tweak crashes at times when taking pictures. Still, it’s worthy of a try. If you’re on an iPhone, iPod Touch or iPad running iOS 7 and don’t have Touch ID, you can use Appellancy for better security. 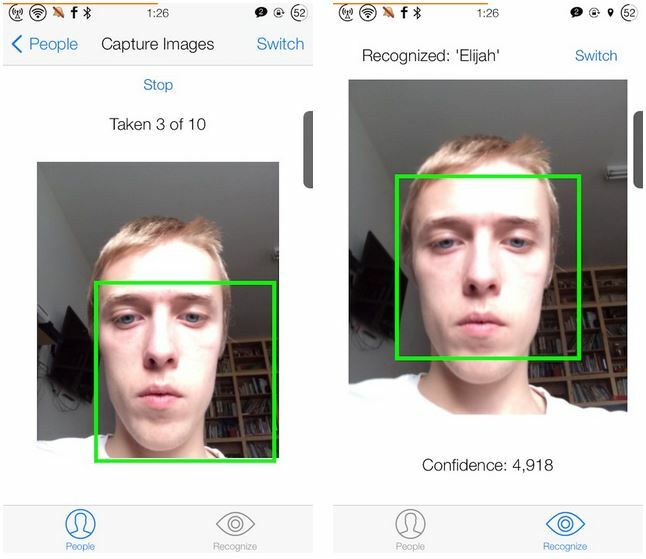 Developer Elijah Frederickson has made the API available on GitHub, so other jailbreak developers can make use of the facial recognition tool. Appellancy is compatible with several lockscreen tweaks such as ClassicLockScreen, Convergance, AndroidLock XT and others. Appellancy is currently available in the BigBoss repo for $1.99. Try it out and let us know what you think of it.